This is a 12-inch subwoofer that you can fit in the tightest spots. With a mounting depth of 3.2 inches, you should have no problems looking for a place to install this sub. Its cone is made of durable poly mica, and surrounded by butyl foam. This results to a clean and clear bass production. What I like about this subwoofer is that it is reasonably priced. 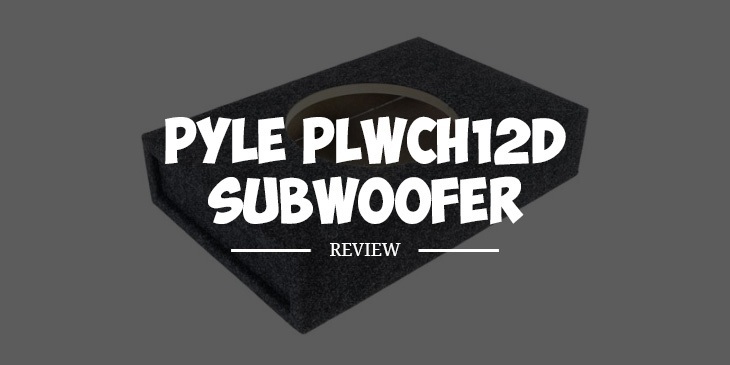 Pyle may not be as popular as other brands like Kenwood and Pioneer, but it once again shows that it is capable of producing good quality subs with this model. At the heart of this subwoofer is a high-quality poly mica cone. It is very rigid and can retain its shape even during long playing hours. It can also produce tight bass with low distortion. This is a dual 4-ohm speaker which gives you the option to wire two voice coils in a series to produce a 8-ohm load. You can also wire the two voice coils in a parallel to produce a 2-ohm load if the amplifier you would pair it with allows for such. This subwoofer produces superior quality bass. It can produce nice, deep bass with decent tightness and authority. It doesn’t produce overpowering bass, but more of a tight and well-balanced output. It can handle 500 to 750 watts of RMS. This subwoofer has a high 91 dB sensitivity rating. It’s far better than the sensitivity rating of an average speaker which is around 87 to 88 decibels. This also means that it can turn up its output without using a lot of energy. The butyl foam surround of the speaker is thick and can handle all the cone excursions well. It is designed to perform well for a long time. This also contributes to the subwoofer producing clean, clear, and accurate bass. There are 8 terminals to wire in a series parallel in this subwoofer. Wiring it incorrectly would affect the sound quality of the sub. Q. How long is the warranty for the subwoofer? A. The manufacturer backs it up with a one year warranty. Q. What is the weight of the subwoofer? A. It weighs 4.7 pounds. This is a subwoofer that I can recommend to motorists who want to improve the sound quality of their car audio system. This speaker really hits hard which can surprise any driver given that the sub is quite small. It does a good job in enhancing the bass level of any car audio system. For best results, I suggest that this is put in a sealed enclosure. This should be easy to install for people who have experience in setting up car speakers. I’ve read some comments about the voice coils not being durable, and some confusion on wiring the sub in a series parallel. Those are some of the things you have to watch out for in case you decide to get this subwoofer.